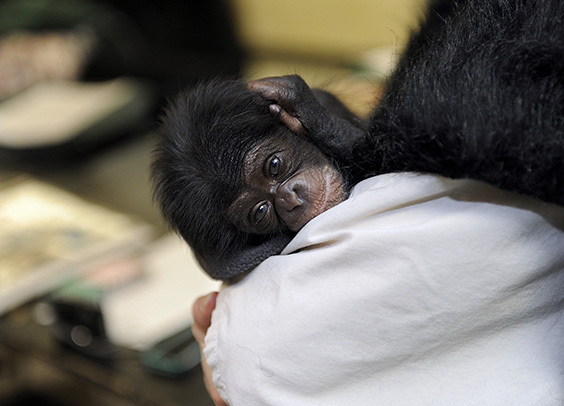 A baby female chimpanzee by the name of Keeva, born to the Maryland Zoo in Baltimore on March 12th, has been given the best Mother’s Day present – a new surrogate mom! The tiny primate was born at 2.6 pounds to first time mother ‘Carole,’ who has been with the chimp troop at the Maryland Zoo for 27 years. Unfortunately, Carole could not care for Keeva properly, and the Zoo was forced to make a tough decision. 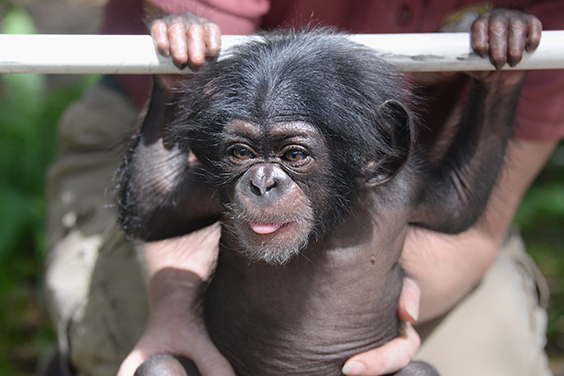 Maryland Zoo staff felt it was important to familiarize Keeva with the sights, smells, and sounds of the troop. 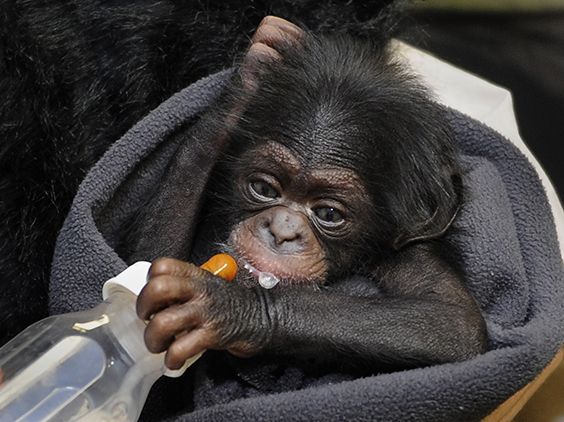 The infant spent several weeks in a behind-the-scences section of the Zoo’s Chimpanzee Forest, receiving round-the-clock care. Keeva is now 5 pounds, can hold her head up, has started to speak, and is beginning to teethe! But, it will be 4-6 months before she is introduced to Abby. She will be integrated slowly, as chimpanzees live in complex social groups with a strict hierarchal structure. We wish her the best of luck. 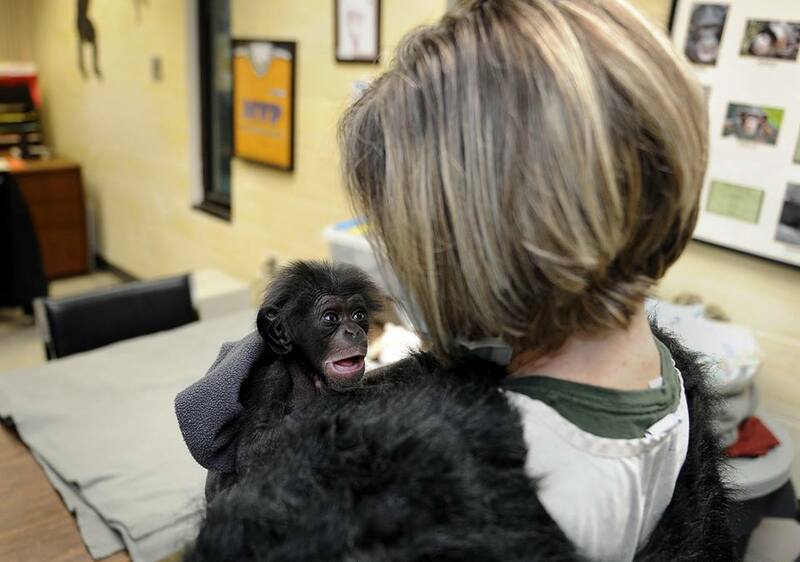 Humans tend to have a soft spot when it comes to chimpanzees. 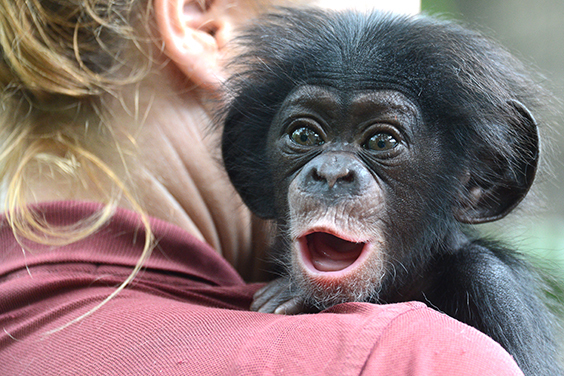 This is most likely due to the fact that they are our closest relatives, sharing 98 percent of our genes! 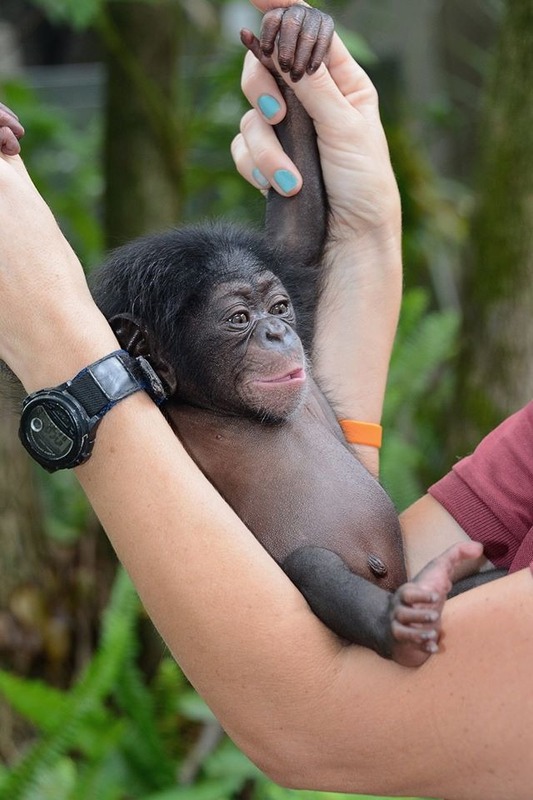 Sadly, these great apes are endangered and still threatened by poachers, disease, and habitat destruction.